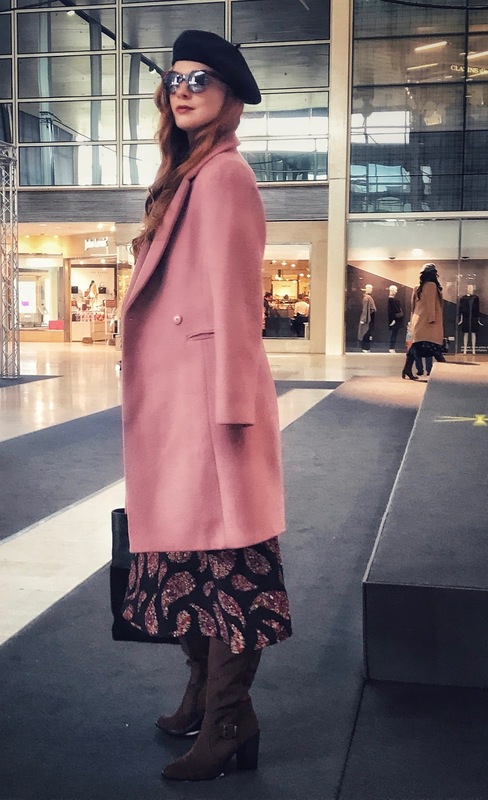 The city’s largest fashion and beauty event is helping shoppers ‘own the season’ and I caught up with the show’s fashion stylist and presenter JP Hevey. 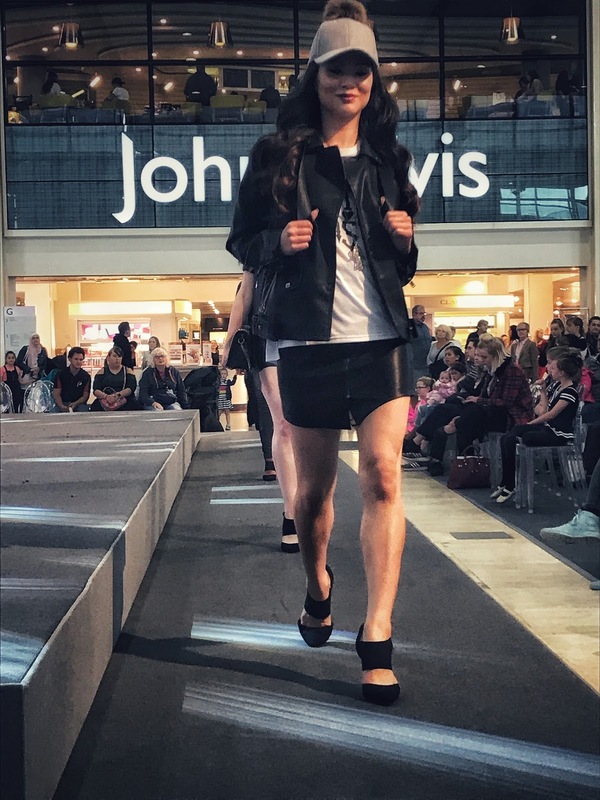 JP’s debut into the fashion world began when he launched the VIP room for Miss Selfridge at the flagship Oxford Circus store fifteen years ago, and since then he’s been styling the nation with various catwalk shows up and down the country. Talking through this season’s styles, JP told me he’s as inspired by street styling as he is the looks seen on the catwalk. A style doesn’t have to become you and it’s your individual interpretation of a trend and having the confidence to style it your way that really brings an outfit to life. As for JP’s favourite style this season, print, more print and then some! For the show, he’s rocking a heritage check Prince of Wales suit with a monochrome geo print shirt, utility belt, statement socks and a pocket scarf. Traditional styling is his go-to look and he loves giving his outfits his own unique twist. 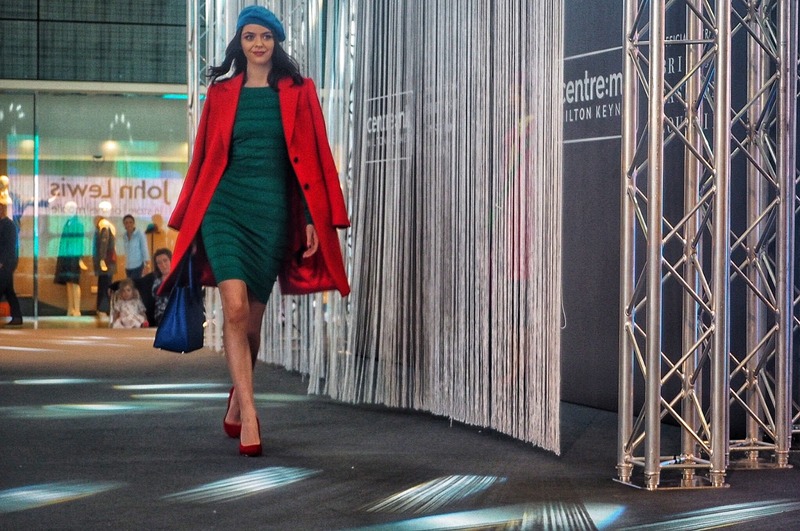 When he’s not lusting after Vivienne Westwood’s collections, he’s likely to be found checking out retro and vintage shops where he hones in on the latest styles to bring them to life on the catwalk. 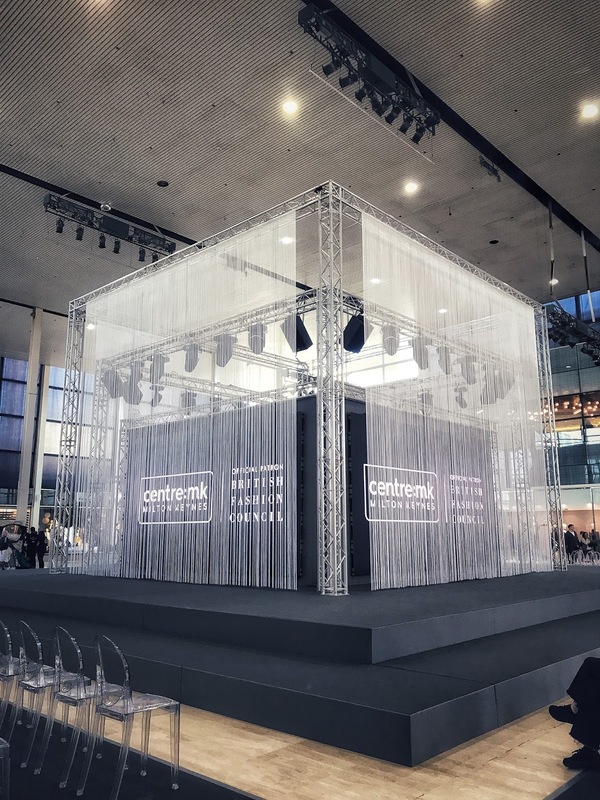 Narrowing down outfits is a core part of JP’s role as he works with retailers sourcing their hottest styles of the season for the fashion show. 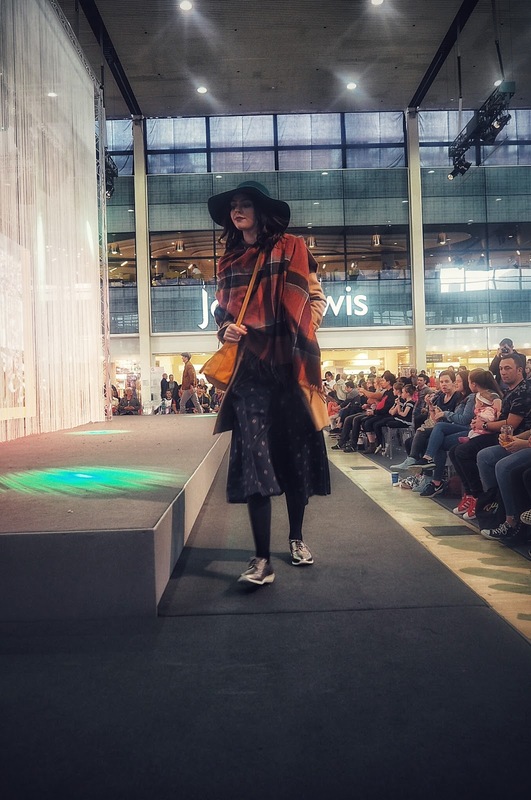 Kicking off the catwalk, River Island gave an energetic performance showcasing popular pink hues, dark denim and autumn check prints. Monsoon paired their pink styles with this season’s berets and winter florals, giving a soft, feminine autumn look. 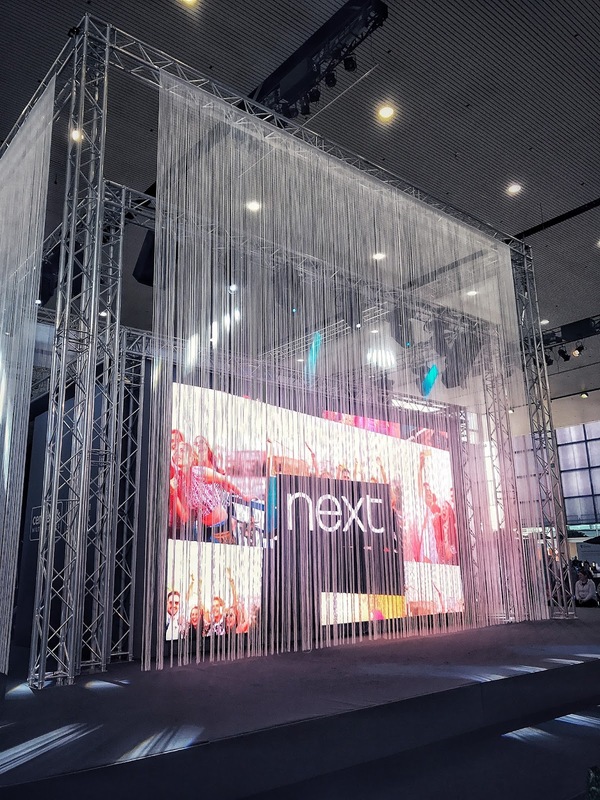 When it comes to styling Next has it all. 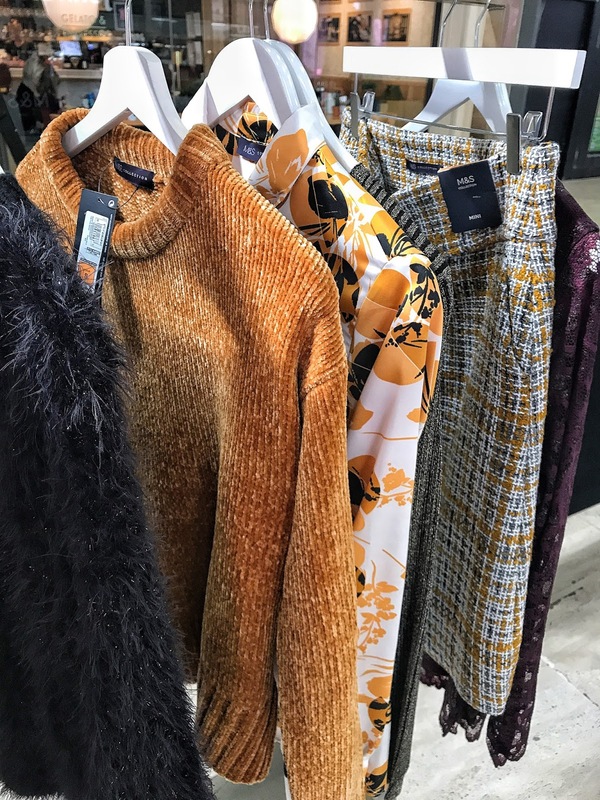 Whilst, I’d managed to get a glimpse of their Christmas party wear (velvet, winter florals and sparkles) at their blogging event on Friday in Shoreditch, it was their casual wear collection that was debuted on the catwalk. 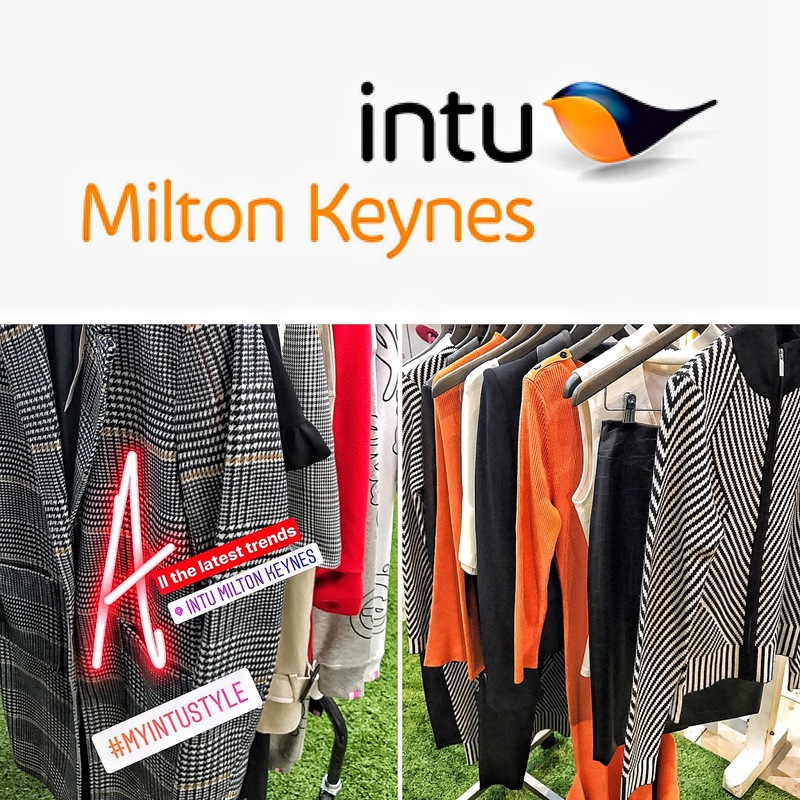 Sporty fabrics in bold colours with 90s and 50s references give Next shoppers the opportunity to look cool and casual this autumn. 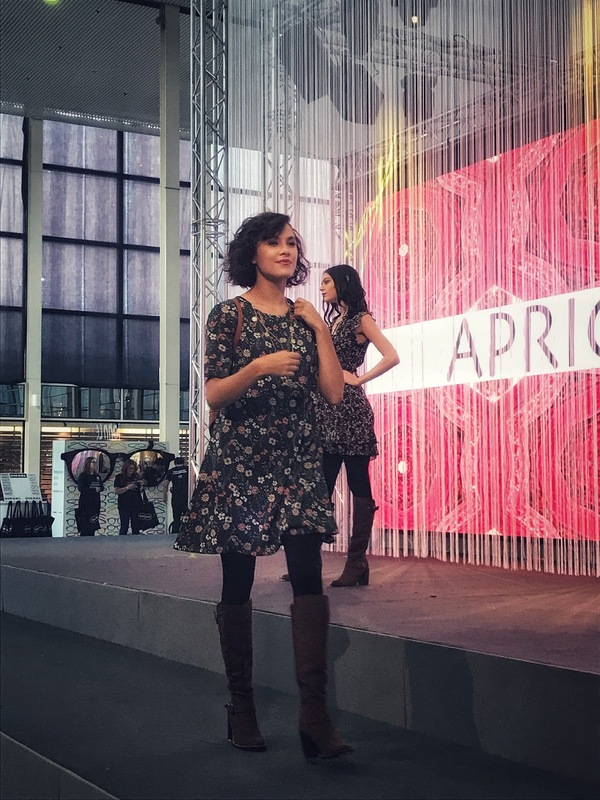 Showing us what autumn is all about are female fashion brand Apricot. Floral dresses paired with tights, long length necklaces and autumn staple knee-high boots results in a nostalgic 70’s feel, which is enough to make you want to reach for the pumpkin spiced latte and walk through the autumn leaves. M&S gives us traditional autumn styling with strong heritage influences this season. Think capes, longline Prince of Wales blazers and flat caps and you’ll never have to worry about feeling that autumn chill. 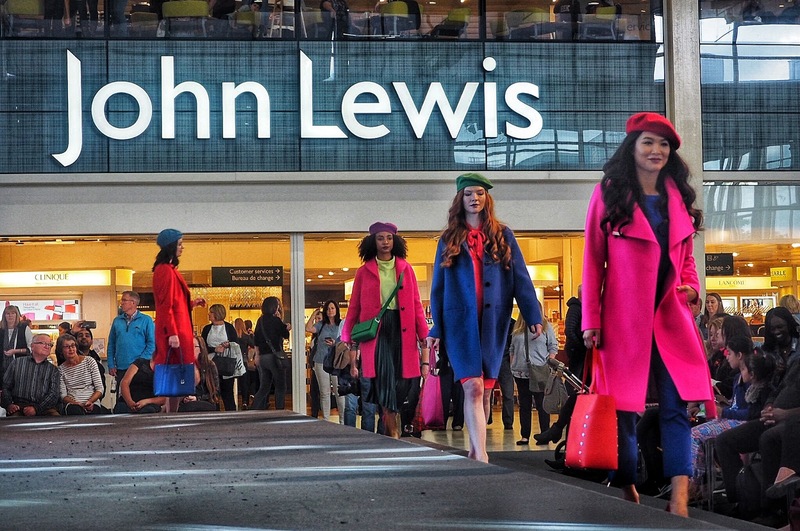 Popular department store John Lewis gives us a vibrant look, conveying autumn styles are far from boring with bold block colours in bubblegum pink, phonebox red, royal blue and forest green giving the ultimate colour clash. 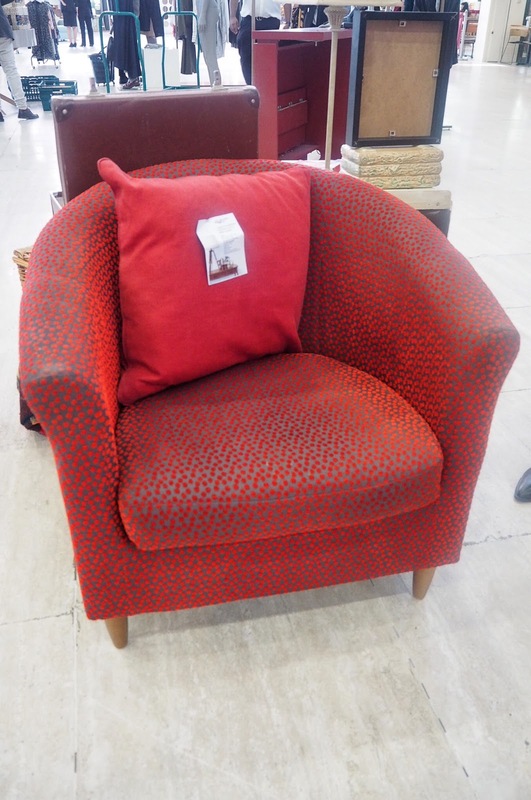 Talking of colours, you did know that red is the new black this season, didn’t you?! 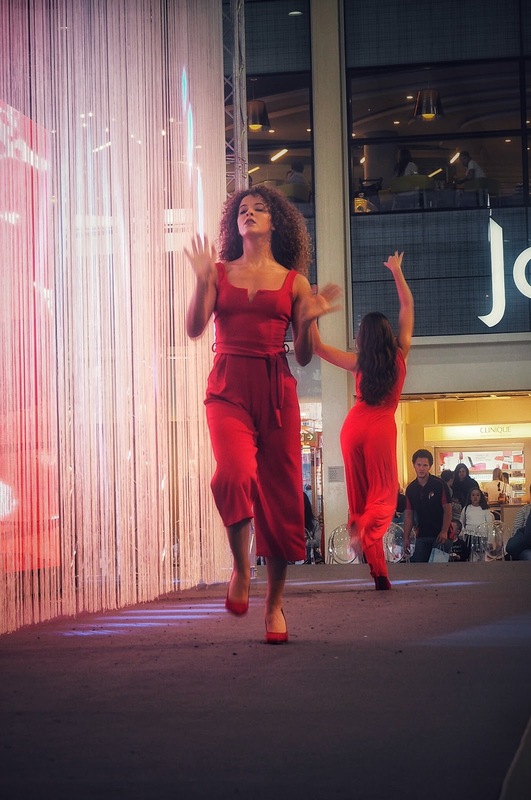 The bolder the better and ready to dress you red-to-toe this season are young female brand Quiz. 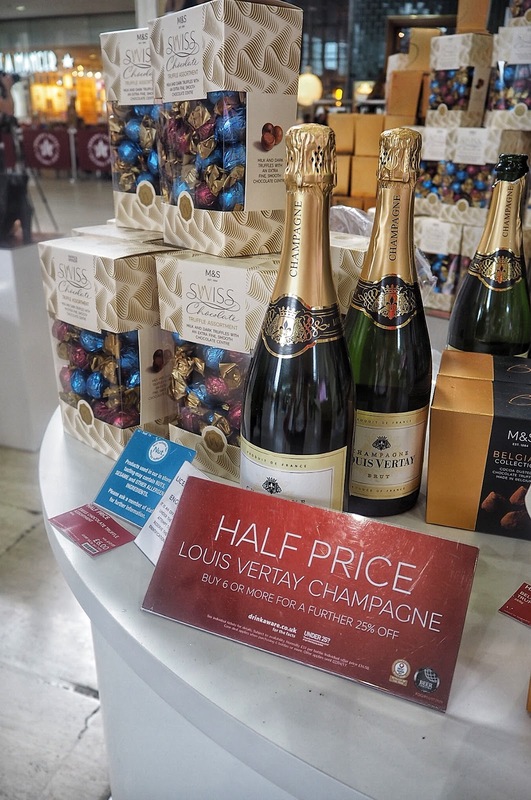 Food, fashion and beauty pop-ups were on hand with pizza slices from Pizza Express, chocolates and champagne from M&S. 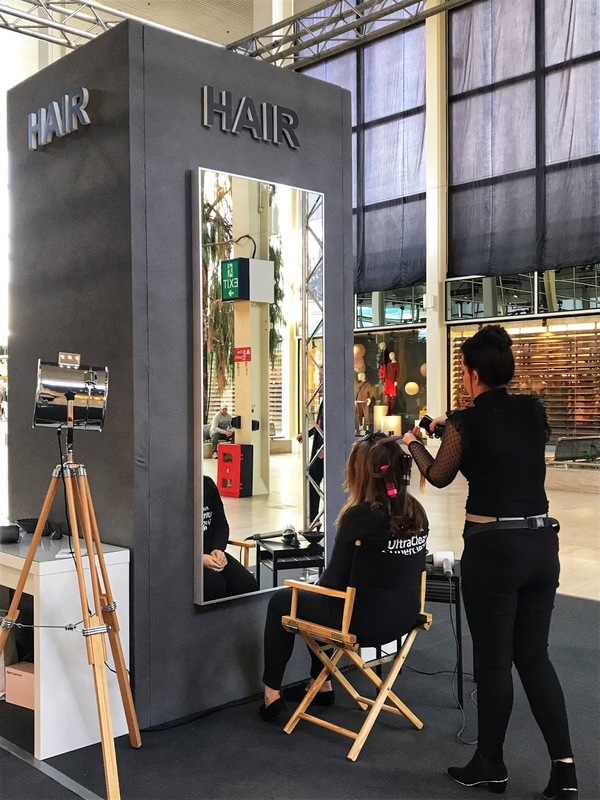 Blow-drys were available with Dyson stylists Henna & Alex using the powerful Supersonic *read about my own Dyson Supersonic treatment by clicking here. 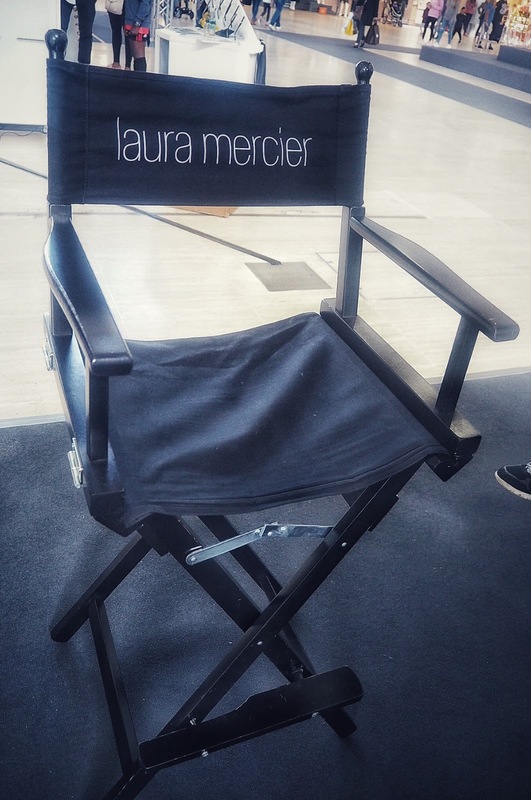 * Free five day Laura Mercier samples were given to shoppers with makeup artist Victoria colour-matching to find the perfect shade. 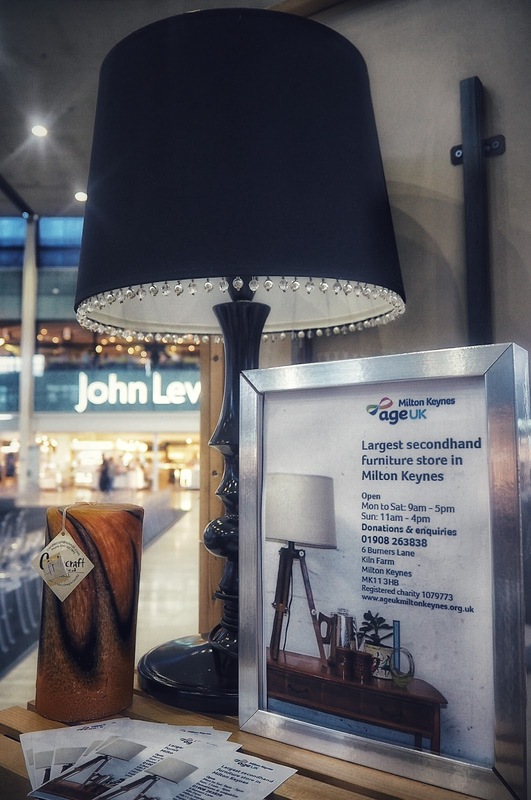 A nice touch to the show was the unexpected charity element with an amazing selection of furniture from Age UK, who I was surprised to learn are an MK charity with no financial support from the council. 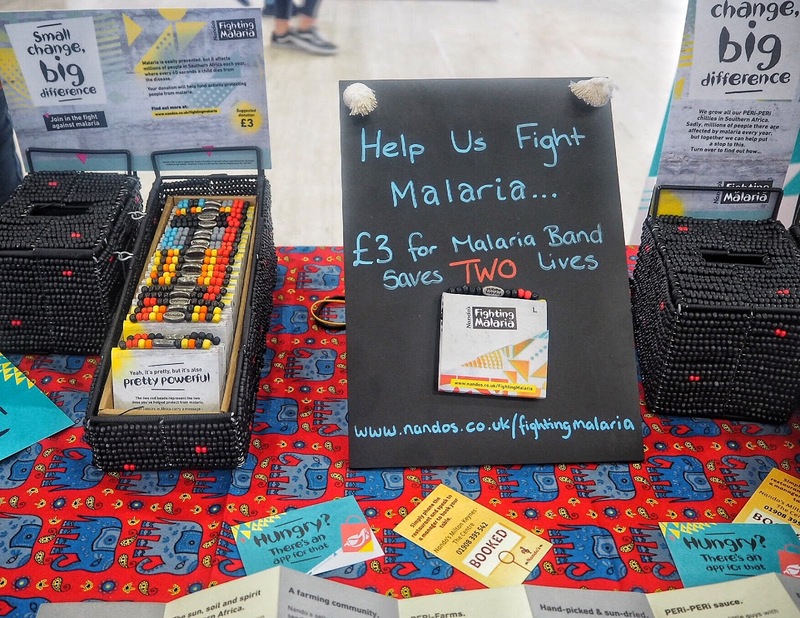 After glimpsing the fantastic items from their stores I will definitely be hunting down some bargains to aid the charity very soon. 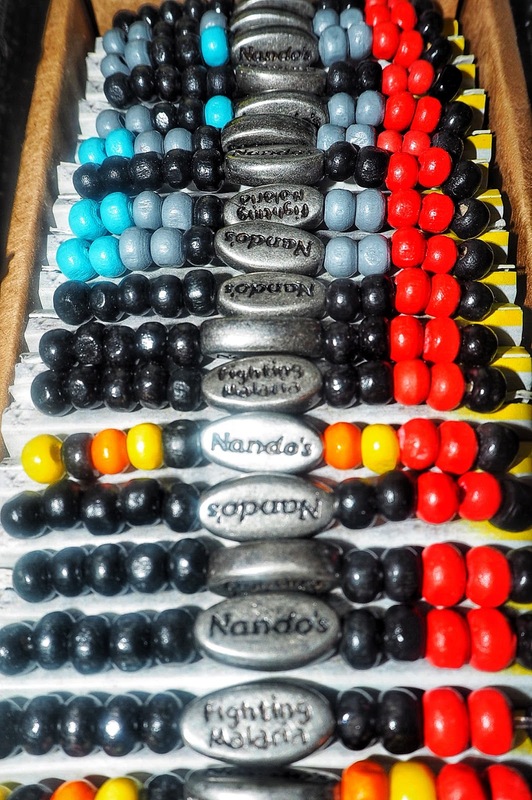 Nandos (a firm favourite for Adam & I) were providing vouchers for a free 1/2 chicken whilst they talked about their charity bracelets to help fight malaria. 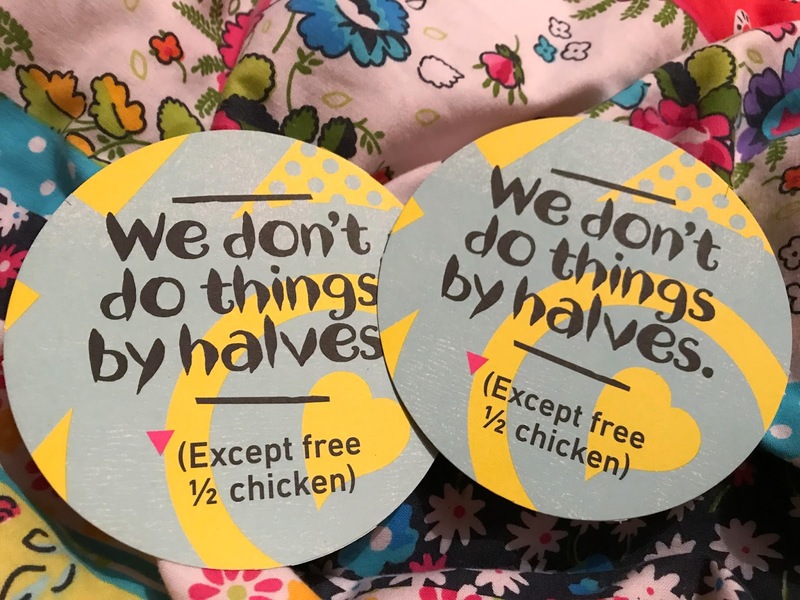 Needless to say, Adam was delighted with the vouchers when I brought them home! 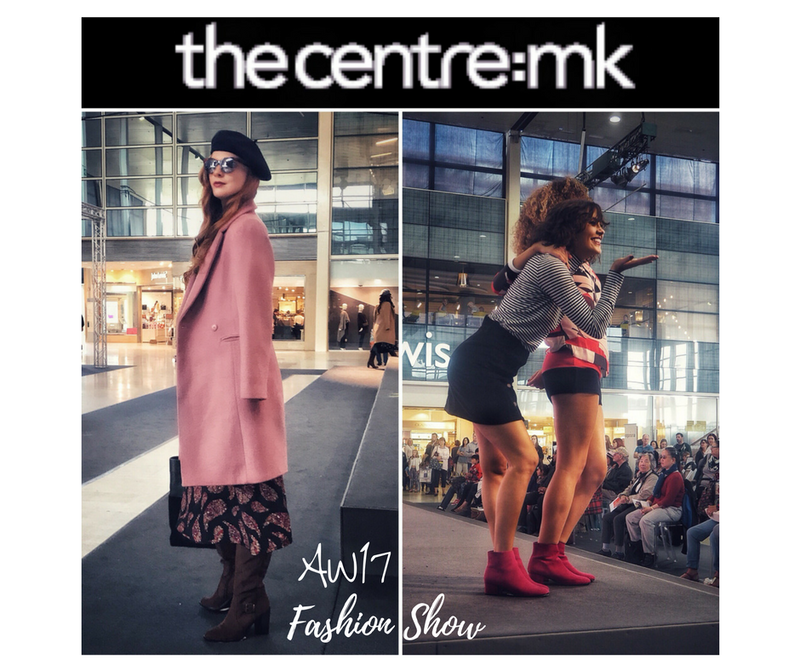 The centre:MK’s seasonal fashion show is not only a great way to inspire shoppers with their autumn wardrobe, the show also gives a fun performance to encourage people to ‘own’ their look this season. 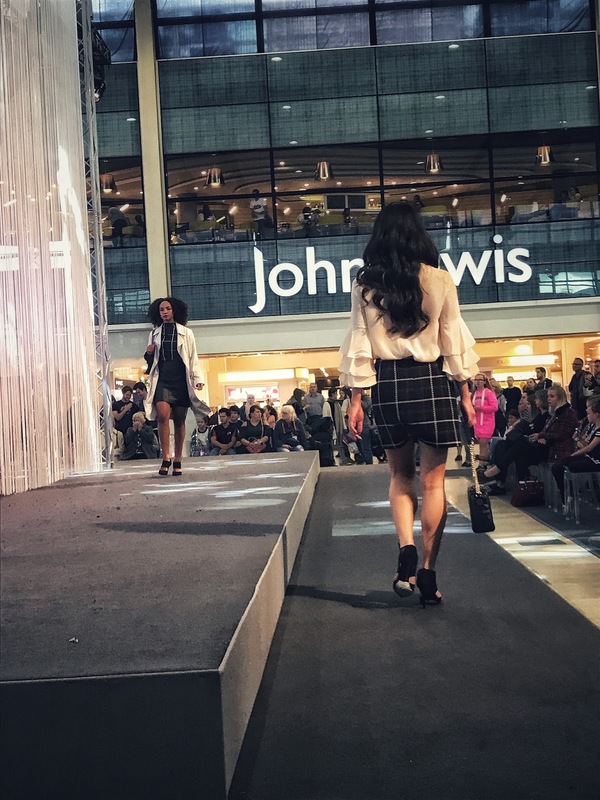 If JP and the centre:MK needed any reassurance of the fashion show’s success, it came in the form of a young shopper named Chloe who thanked JP for inspiring her to dress more confidently when she first saw the show two years ago. 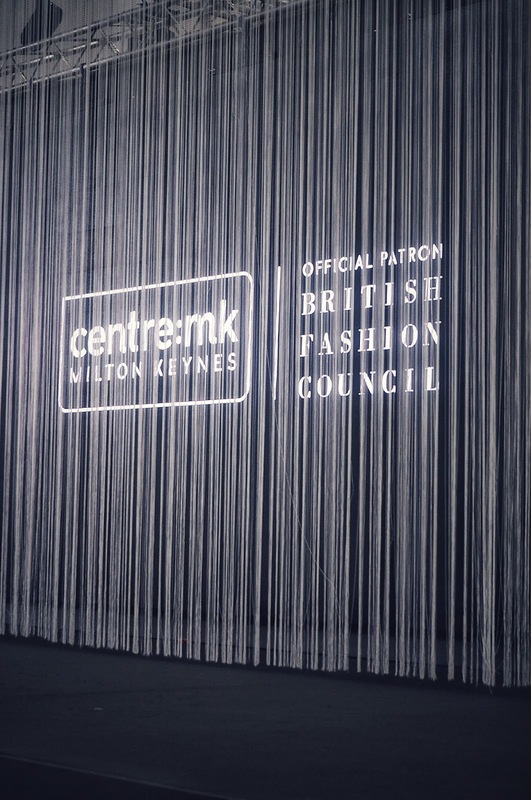 As the centre:MK are now official patrons for the British Fashion Council, I look forward to seeing the show evolve and the upcoming styles. 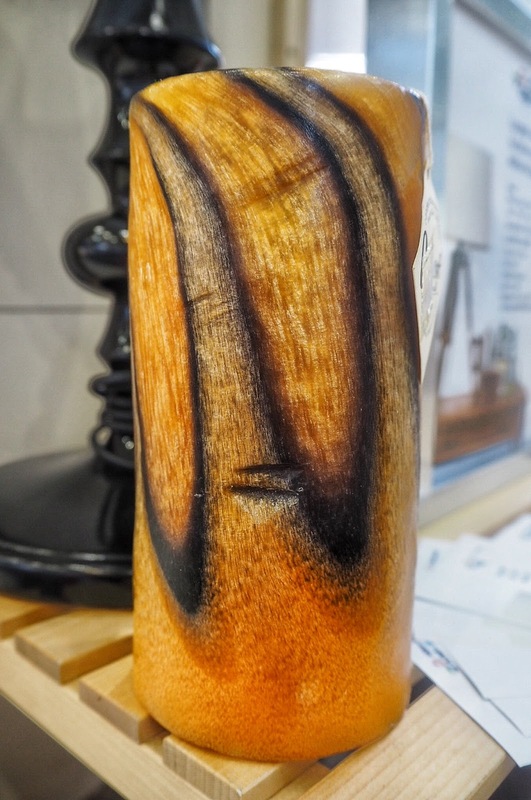 Which retailers and styles are you loving this season?